At the beginning of the year I had a plan to read all 50 books on the 50 Best Books from Every State list. I’m going to fail that writing challenge, not because I haven’t been reading but because I’ve been reading off of my list of books to read…don’t worry, I’m still going to read all 50, but I think this is going to be a multi-year reading challenge for me. 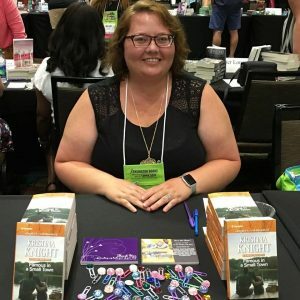 I first got off track with my reading challenge about the second week in January when, instead of James Michener’s Hawaii, I picked up Maya Angelou’s I Know Why the Caged Bird Sings. I’m not sure why I picked it up; I’ve read that book probably five times in my life. But I was walking through the library (I’d gone there to write and had met my wordcount so of course I started wandering the stacks) and it was right there on a shelf calling to me. So I picked it up. I’ve worked my way through about 1/3 of the 50 books list. Another book that called my name? Carol Burnett’s In Such Good Company. Y’all know my love of the memoir by now, but this book isn’t so much memoir/self-help as it is memoir/memory, and it was wonderful. 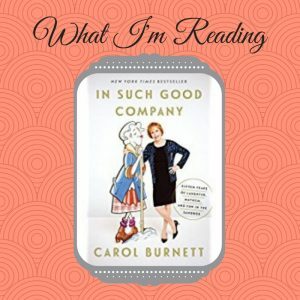 I’ve been a Carol fan since I was little, watching the reruns on Sunday afternoons on a fuzzy UHF channel with my mom. I didn’t get most of the jokes but I can still hear mom’s giggle turning into a full-blown snort-laugh in my head. I laughed at the jokes I didn’t get because her laugh was just so contagious that I couldn’t not laugh. As I got older I started getting those jokes and laughed for other reasons. 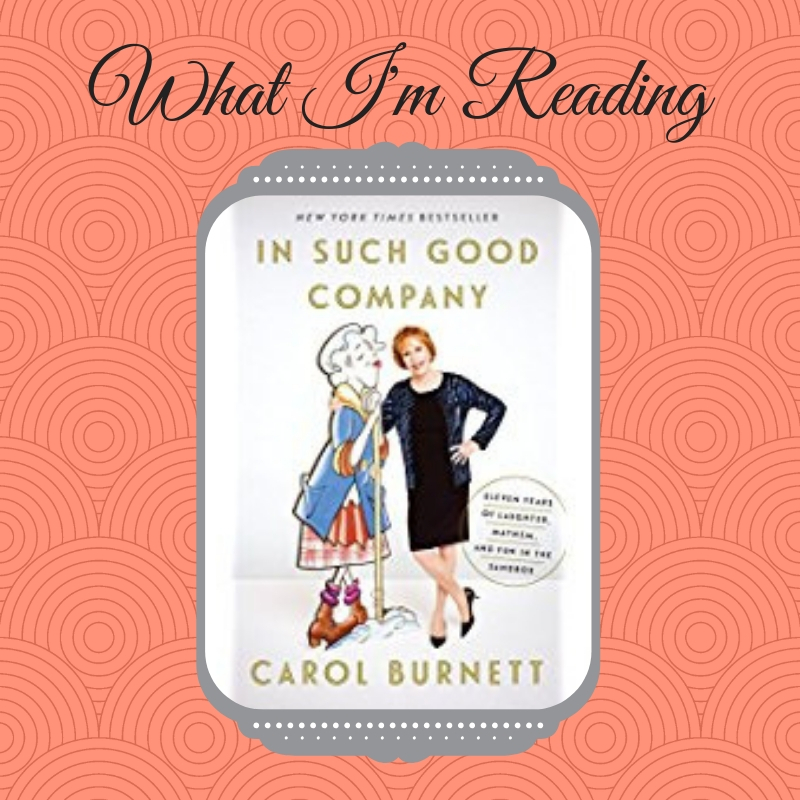 What I liked best about the book were the stories behind the scenes – how Vicki Lawrence became a cast member, how Carol nearly fired one of the cast after a particularly bad show. Those were things I didn’t know. I didn’t know that she fought hard to have her own variety show in a time when male studio heads didn’t think women should. I didn’t know that she ran that show, every aspect of it, in a time when women just didn’t do that. And my biggest takeaway from the book that is more memory than self-help is this: You have to fight for the things that you want in life. Carol fought for her show. She fought for the actors and performers on her show. She fought for certain skits and writers. She knew what her vision was for the show and she fought hard to make that vision a reality. My favorite quote from the book sums up what I think is her true legacy – aside from the laughs on the show! – that you have to be present and embrace your life, and fight for the things you believe in: Fifty years have passed since we “pushed the button” to do the show. Sure, I’d like to be younger, but then I could never do today what we did back then. Sadly, variety shows like ours have gone the way of the dodo bird. A variety show today can never duplicate what we did. Why? Money. The cost of clearing the songs and music alone would sink the Titanic. Sixty to seventy costumes a week? No way. A twenty-eight-piece orchestra? Twelve dancers? A rep company of five? Six to eight sketches a show? Major guest stars? Block the entire show and rehearse with the orchestra in one day? The following day tape the whole shebang in two hours? Dream on. We all get older, if we’re lucky. So, if I had to choose, I’m happy I was there at that time…to have a laugh or sing a song. If you have the chance, definitely pick up the book – I think you’ll love it! What are you reading now?